Tickets are now available on-line. For one book and one ticket to the wine and cheese tasting and author presentation click here. For one book and two tickets to the wine and cheese tasting and author presentation click here. Cork Dork Weekend also includes 3 wine dinners, 2 movies and 1 wine-fueled class for lifelong learning. Cork Dork Dinners begin Friday, May 19 with the first of three to be hosted by Bianca Bosker, “Journey through Piedmont” with Executive Chef, Sigal Rocklin at the Reluctant Panther. It will be followed by “North by Northwest” with Executive Chef Jon Gatewood on Saturday, May 20, at The Dorset Inn and “Portuguese Inspiration” with Executive Chef Vanessa Davis on Sunday, May 21, at The Copper Grouse. Green Mountain Academy for Lifelong Learning will host the final event on the evening of Tuesday, May 23 at a private residence. Find event details, menus and contact details to make reservations for any online at www.eonscreative.com. 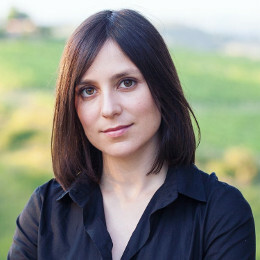 Bianca Bosker is an award-winning journalist who has written about food, wine, architecture, and technology for The New Yorker online, The Atlantic, The New York Times Style Magazine, Food & Wine, The Wall Street Journal, The Guardian, and The New Republic. Her forthcoming book, Cork Dork (Penguin: 2017), chronicles her wine-fueled adventures from cellar rat to sommelier with the obsessive pros, tipsy hedonists, and mad scientists who live to taste. She previously authored Original Copies, the first definitive account of China’s “duplitecture” movement and a critically acclaimed exploration of China’s copy culture. Described as “fascinating” by the New York Review of Books, Original Copies (University of Hawaii Press/Hong Kong University Press, 2013) continues to be featured in leading publications and was selected as a Book of the Year Award finalist by Foreword Reviews, in addition to being named one of Gizmodo's Best Books of the Year. Bosker co-founded The Huffington Post’s tech section and served as the site’s Executive Tech Editor until 2014. Her writing has been recognized with multiple awards from the Society of American Business Editors and Writers, as well as the Society of Professional Journalists. Though her arm swing is a bit rusty, she is also the co-author of a cultural history of bowling, Bowled Over: A Roll Down Memory Lane (Chronicle Books: 2002). She grew up in Portland, Oregon, graduated from Princeton University, and currently lives in New York City. Her lesser-known exploits include training alongside butlers in Chengdu, teaching classes on wine tasting and the confounding effects of expectation, and obsessively collecting graphic novels.